On January 6 the Church celebrates the feast of "Epiphany." 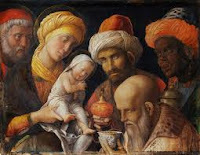 This feast commemorates the mysterious visit of the magi to the Baby Jesus. Who were the magi? What led them to visit Jesus? And what lessons should we--and shouldn't we!--learn from this incident? Here are nine things you should know . . .
1. What does the word "Epiphany" mean? It comes from Greek roots that mean "to show, to display" (phainein) and "on, to" (epi-). An epiphany is thus a time when something is shown, displayed, or manifested to an audience. 2. What is the feast of the Epiphany about? The Epiphany is the manifestation of Jesus as Messiah of Israel, Son of God and Saviour of the world. the great feast of Epiphany celebrates the adoration of Jesus by the wise men (magi) from the East, together with his baptism in the Jordan and the wedding feast at Cana in Galilee. In the magi, representatives of the neighbouring pagan religions, the Gospel sees the first-fruits of the nations, who welcome the good news of salvation through the Incarnation. The magi's coming to Jerusalem in order to pay homage to the king of the Jews shows that they seek in Israel, in the messianic light of the star of David, the one who will be king of the nations. Their coming means that pagans can discover Jesus and worship him as Son of God and Saviour of the world only by turning towards the Jews and receiving from them the messianic promise as contained in the Old Testament. The Epiphany shows that “the full number of the nations” now takes its “place in the family of the patriarchs”, and acquires Israelitica dignitas (is made “worthy of the heritage of Israel”) [CCC 528]. 3. When is Epiphany celebrated? This varies from country to country. In some countries, Epiphany is a holy day of obligation (Canon Can. 1246 §1). Where that is the case, it is celebrated on January 6th. In the United States, Epiphany is not a holy day of obligation, and its celebration is transferred to the first Sunday after January 1st (source). In 2013, it so happens that the first Sunday after January 1st is January 6th, so the U.S. celebration of Epiphany will coincide with its universal celebration. 4. Why is Epiphany connected with January 6th? It is hard to say how far back the beginnings of the Christmas feast go. It assumed its definitive form in the third century. At about the same time the feast of the Epiphany emerged in the East on January 6 and the feast of Christmas in the West on December 25. 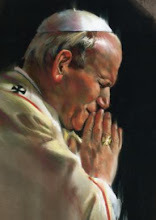 The two feasts had different emphases because of the different religious and cultural contexts in which they arose, but essentially their meaning was the same: the celebration of the birth of Christ as the dawning of the new light, the true sun, of history [The Spirit of the Liturgy, pp. 106-107)]. Eventually, however, the emphasis on January 6 shifted--particularly in the west (and in some parts of the east)--to reflect manifestations of Christ beside that which occurred at his birth (namely, those that occurred at the coming of the magi, at his baptism, and at the wedding feast of Cana). This year the baptism of the Lord is also celebrated the first Sunday after Epiphany (Jan. 13), and the wedding at Cana is celebrated on the Sunday after that (Jan. 20). 5. Who were the Magi? In the relevant sources, the concept of Magi (mágoi) encompasses a wide range of meanings, from the wholly positive to the wholly negative. To the first of the four principal meanings, Magi are understood to be members of the Persian priestly caste. In Hellenistic culture they were regarded as “rulers of a distinctive religion,” but at the same time their religious ideas were thought to be “strongly influenced by philosophy,” so that the Greek philosophers have often been portrayed as their pupils (cf. Delling, “mágos,” p. 356). No doubt this view contains some not easily definable element of truth: after all, Aristotle himself spoke of the philosophical work of the Magi (cf. ibid., p. 357). The other meanings listed by Gerhard Delling are as follows: possessors and users of supernatural knowledge and ability, magicians, and finally deceivers and seducers. . . .
For the Magi in Mt 2, it is the first of the four meanings that applies, at least in a broad sense. Even if they were not exactly members of the Persian priesthood, they were nevertheless custodians of religious and philosophical knowledge that had developed in that area and continued to be cultivated there [Jesus of Nazareth: The Infancy Narratives]. 6. Why did the magi come to see Jesus? They apparently had material of a prophetic nature (some have suggested that they got it from an eastern Jewish community, such as the one in Babylon) that allowed them to identify the birth of the new "king of the Jews" astronomically. We know from [the Roman historians] Tacitus and Suetonius that speculation was rife at the time that the ruler of the world would emerge from Judah—an expectation that [the Jewish historian] Flavius Josephus applied to [the Roman emperor] Vespasian, consequently finding his way into the latter’s favor (cf. De Bello Judaico iii, 399–408) [Jesus of Nazareth: The Infancy Narratives]. 7. Why did they go to Herod? It is quite natural that their search for the newborn king of the Jews should take them to Israel’s royal city and to the king’s palace. That, surely, is where the future king must have been born [Jesus of Nazareth: The Infancy Narratives]. This, of course, played into Herod's paranoia for his throne and led to the slaughter of the innocents. Click here for more information on all that. 8. What was the star? It is hard to know. Some question whether the star was a natural phenomenon at all, pointing out that it seems to lead the magi to Jerusalem, disappear, and then reappear and hover over the house in Bethlehem. But this isn't what Matthew says. He does not say that the star led them to Jerusalem. They merely report that they had seen the new king's star "in the east" (Mt. 2:2; that is, back in their homeland), which is why they came to Jerusalem. When they had heard the king they went their way; and lo, the star which they had seen in the East went before them, till it came to rest over the place where the child was [Mt. 2:9]. This does not necessarily mean that the star appeared to move in the sky in a way that stars don't ordinarily. Departing from Jerusalem at night, they may have noted on the short (6 mile) trip to Bethlehem that the star was in front of them in the sky--a coincidence arranged by divine providence. Then, when they got to the house, they noticed it was directly over the house--again, a coincidence arranged by divine providence but not necessarily an unusual motion for a star. Nevertheless, the question whether or not this was an astronomically identifiable and classifiable celestial apparition was not going to go away. It would be wrong to dismiss it a priori on account of the theological character of the story. With the emergence of modern astronomy, developed by believing Christians, the question of this star has been revisited [Jesus of Nazareth: The Infancy Narratives]. Various proposals have been made, including for rare astronomical phenomena like the conjunction of certain planets in certain constellations, or supernovas. Which of these, if any, might have been the Bethlehem star depends on precisely when Jesus was born, which is too complex a discussion for this post. 9. Does this mean astrology is okay? All forms of divination are to be rejected: recourse to Satan or demons, conjuring up the dead or other practices falsely supposed to “unveil” the future. Consulting horoscopes, astrology . . . contradict the honor, respect, and loving fear that we owe to God alone [CCC 2116]. The Fathers have emphasized a further aspect. Gregory Nazianzen says that at the very moment when the Magi adored Jesus, astrology came to an end, as the stars from then on traced the orbit determined by Christ (cf. Poem. Dogm. V 55–64: PG 37, 428–429). In the ancient world, the heavenly bodies were regarded as divine powers, determining men’s fate. The planets bear the names of deities. According to the concept prevailing at the time, they somehow ruled over the world, and man had to try to appease these powers. Biblical monotheism soon brought about a clear demythologization: with marvelous sobriety, the creation account describes the sun and the moon—the great divinities of the pagan world—as lights that God placed in the sky alongside the entire firmament of stars (cf. Gen 1:16f.). On entering the Gentile world, the Christian faith had to grapple once again with the question of the astral divinities. Hence in the letters he wrote from prison to the Ephesians and the Colossians, Paul emphasizes that the risen Christ has conquered all the powers and forces in the heavens, and that he reigns over the entire universe. The story of the wise men’s star makes a similar point: it is not the star that determines the child’s destiny, it is the child that directs the star [Jesus of Nazareth: The Infancy Narratives].